NEW YORK: Investors will focus on falling profits, a more dovish Federal Reserve and lower interest rates as major US banks kick off what analysts expect to be the first quarter of contracting corporate earnings since 2016. (Analysts are) fearful of interest margins for banks and there’s an underlying concern about loan growth. In the wake of the Federal Reserve’s cautious shift due to signs of softness in the US economy and the subsequent drop in 10-year Treasury yields, S&P 500 banks are seen posting year-on-year first-quarter earnings growth of 2.3 per cent, down from 8.2 per cent forecast six months ago, according to Refinitiv data. “That’s why the estimates are going down,” Carlson added. Since October, analysts have drastically lowered their expectations for S&P 500 earnings in 2019, with first-quarter estimates dropping from 8.1 per cent growth to a year-over-year decline of 2.2 per cent. That would mark the first quarter of negative growth since the earnings “recession” that ended in 2016. The partial federal government shutdown in January and an expected drop in trading revenues provided additional impetus for analysts to cut first-quarter bank earnings estimates. 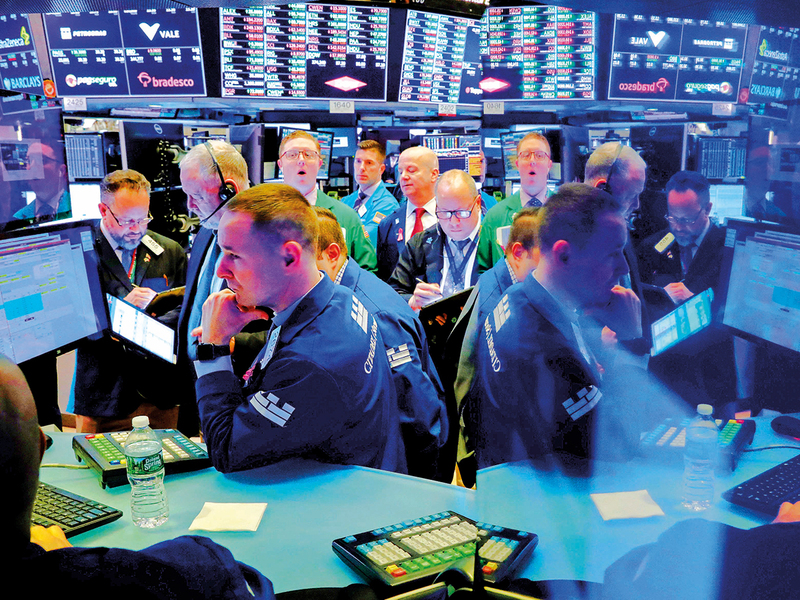 In a KBW note dated April 3, lead analyst Brian Kleinhanzl sees median year-on-year revenues from both equities and fixed income, currencies and commodities (FICC) trading to have dropped by 15 per cent in the quarter. Recent history shows that large US financial institutions have beat analyst estimates at a higher rate than the broader market. In the eight most recent quarters, the six banks have beat earnings estimates 83.3 per cent of the time on average, compared with the S&P 500’s 75.4 per cent average beat rate. Additionally, bank revenues surprised to the upside 79.2 per cent of the time, while S&P 500 company revenues came in ahead of analyst estimates 68.3 per cent of the time, per Refinitiv data.